Hello! Its been some time since I brought in a new designer and I was very excited to show you ladies this new designer that I contacted recently! Hortense Jewelry is named after Hortense herself, who was from Paris and moved to US to study in the Jewelry school, and only 5 years ago she started her own jewelry line which I find very interesting. Read more on Fine Jewelry for the FUN ladies! This week, we have a special deal for the Stackers Watch Box at only $69.90 instead of usual $119 (while stock lasts) - Shop here. A Lovely shade of brown synthetic leather with insides lined with checkered fabric where you can slip your watch into each cushion for safe keeping. It saves you lots of space from keeping the original watch boxes, and you can store all your watches in one place. It is designed to keep up to 8 watches, or 10 if they are small. Additionally you can also use it to keep your bracelets as well. Look how easy it is to store them and retrieve them whenever you want to look for your favourite watches. Take this opportunity to own one of these lovely watch box this week, while stock lasts! Christmas is around the corner, we got your gifts covered. Aristides Fine Jewels by Claire Aristides has release her all new designed Petite Diamond Collection which includes an all new updated version of the plain horseshoe into a beautiful petite diamond studded Horseshoe Bracelet. Most of our horseshoe bracelet has been with us for nearly 2 years and its definitely time to update our Lucky Charm with a touch of brilliance. 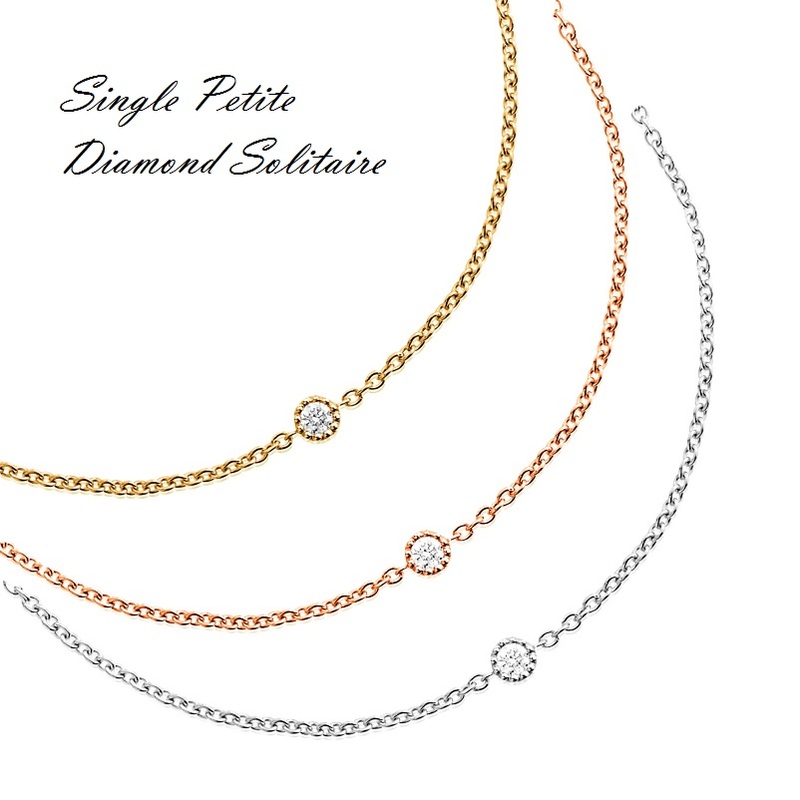 The Petite Diamond Collection includes 4 different charms with petite Diamond studs - Horseshoe with 9 petite diamonds, Love with 10 petite diamonds, Circle with 8 petite diamonds & finally a beautiful Single Diamond Solitaire charm on the bracelet. All bracelets are available in 3 colour gold - Rose Gold, White Gold, and Yellow Gold. Bracelets are adjustable with 3 holes to choose the length of your preference. View more images of the collection on our Blog here, and available on each product link. This Petite Diamond Collection is available to pre-order by 27th November Sunday 2359 to arrive in time for Christmas! They will make the loveliest Christmas gift for yourself & your loved ones. Starring amazing mineral stone necklaces in 4 special colours, mantra bracelets & necklaces with beautiful engraving "Live this Moment" in your favourite colours. Samantha Wills Jewelry is an easy gifting choice for your love ones. Pick the mineral stone necklace of the energy you desire from Rose Quartz to Howlite Marble white, they make the perfect Christmas outfit accessories too. 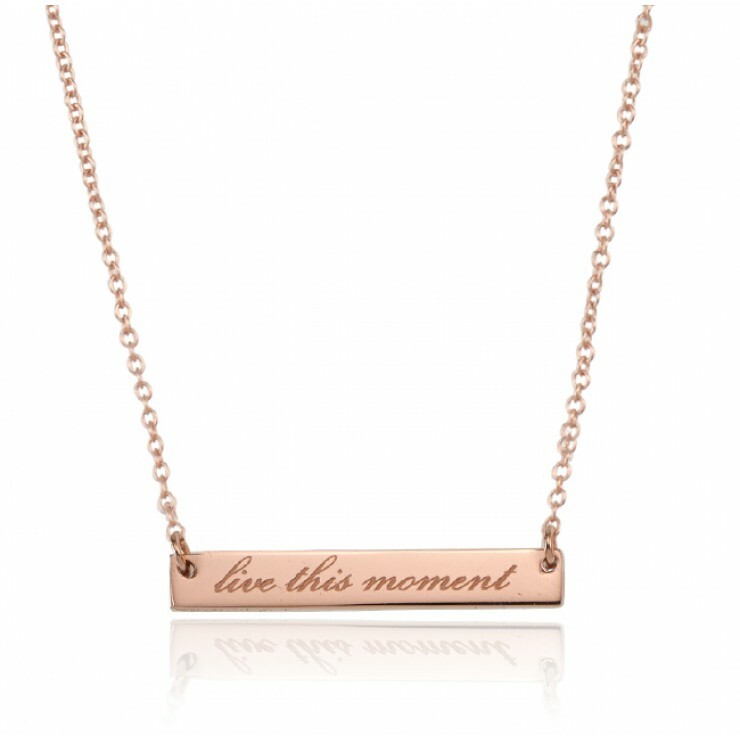 Best Seller "Live this moment" in Rose Gold, now comes in Necklace and Bracelet. This Christmas, our team shopped Kikk-K for some awesome gift wrapping papers and we are offering any orders placed to be gift wrapped for free. We have added an option at check out to indicate that you would like your items to be gift wrapped. 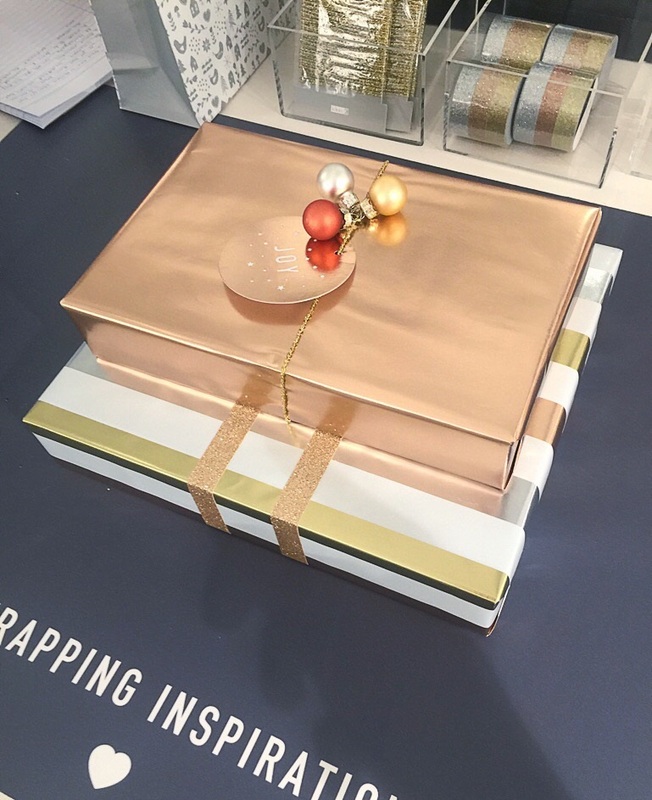 Gift wrapping colours will be chosen at random with 3 choices of metallic gold, silver and rose gold, finished with a printed ribbon of your stylist choice. 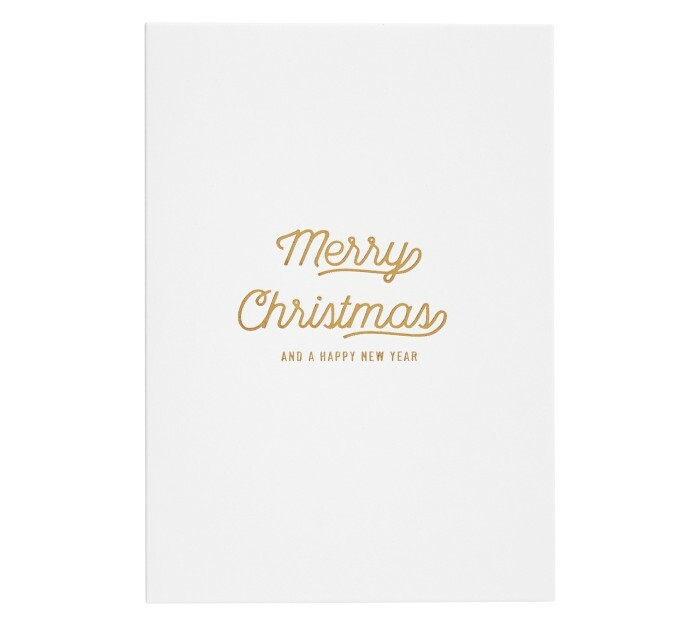 We have also made Christmas Cards easy for you to purchase on our site, just add to cart your favourite gold foiled printed Kikki-K Christmas Cards and get them shipped together with your order. 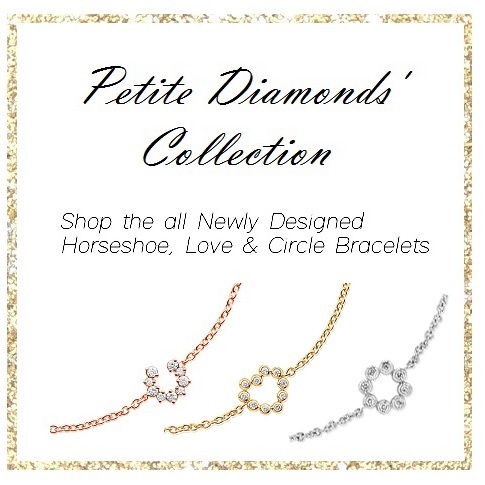 Aristides Fine Jewels by Claire Aristides has release her all new designed Petite Diamond Collection which includes an all new updated version of the plain horseshoe into a beautiful petite diamond studded Horseshoe Bracelet. Most of our horseshoe bracelet has been with us for nearly 2 years and its definitely time to update our Lucky Charm with a touch of brillance. This Petite Diamond Collection is available to pre-order within this week in time for Christmas! They will make the loveliest Christmas gift for yourself & your loved ones. Hello Ladies, it's been sometime since we carried some new arrivals and pleased to present the NEW AMBER SCEATS COLLECTION. Personally, I love that Amber Sceats shot the look book as though they are in California, it has so much of Sunny vibes exactly like Singapore. Their style is always casual, denims, rompers, skinny strap tops, so much like ours isn't it? And look at that vintage car! The first bracelet piece which is also the top choice for me, this Kyrie bangle comes in Gold & Silver, with a classic unique twist on a classic bangle. You can wear the twist facing towards your hand or towards your arm, either way they make the most flattering piece to match with every of your outfit, I promise! 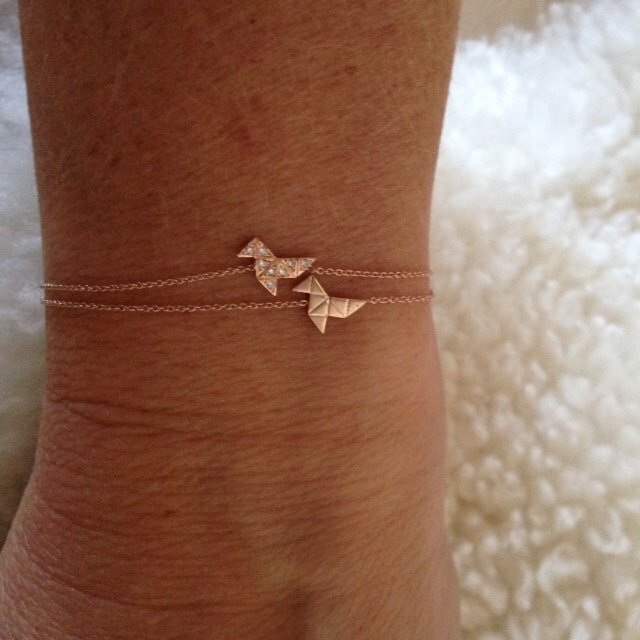 Wear it with the twist facing downwards if you like to wear it loosely on your lower part of your wrist. and if you like to wear it as a bangle high on your arm, wear it with the twist facing upwards (towards you, exactly like the model) The twist facing towards your elbow. My preference is to wear it high when you like a bohemian look and low on the wrist when you are going for a chic denim shorts look with many other accessories. The second piece that is unique in its own way, would be the Rocco bangle. Usually bangles come with a full closure, and the big chain looping together looks alot like the Tiffany & Co bracelet that most ladies would have. Rocco bracelet is made to be a halfway cuff that stays in shape (not soft where the links fall together) gives an edgy look to those who love the big chain look and want something that the perfect balance of a unisex look not being so feminine and not too masculine. Rocco gives a great unique vibe for those who love an in between. I reckon that even our men can pull this off in Silver definitely. It goes perfectly on its own, no other add-ons needed, or simply just with your classic watch. This love does not need any introduction! Easy to wear, loop around your neck twice with the metal bar facing outwards for a classy vibe. Tie the end loops together into a ribbon to match with a evening dress or just one knot for a casual look in a white shirt and denim shorts/jeans. It was never easier to match the black leather with anything else, there's no fretting over what it does not go with because it goes with every single colour. Pick Gold colour for a more oomphh and silver if you are the Silver x Black sort. Choker pick : Bella or Cole? It is a fair fight over Bella (a more exquisite pattern) and Cole choker (a classic lined one). Bella is bound to bring you lots of compliments with a simple long dress for a Sunday brunch or a best friend's wedding. You will never leave the crowd without someone asking you where you got this pretty choker from. Cole will leave you always feeling classic, one notch above others with no qualms about picking the right necklace accessory. Pick the Gold if you are going for evening events and wearing darker muted tones like Black, Burgundy, Forest green colours. Silver are for those which would be going for day events and wearing bright colours like orange, yellow, pink. Pick the opposite brightness to balance out your outfit and accessories. Who loves dangling earrings? I never liked those which looked too much on your ears and made your head too heavy. These Judd earrings are the perfect clean and minimalistic dangle-lys with two circles on the top and bottom looked so much more classy in real life then pictures. I promise you would be delighted to have a staple in your accessory corner. They go well for any occasion that needs you to look a little more dressed up but not too over the top. This Judd earrings would bring out your style effortlessly without looking like you tried too hard. If circles are not your thing, lets go for a square cubic that has a great look with doubles. Front and back with square cubes, you would find yourself very pleased with this well made symmetrical ear stud. Made for those who love a subtle sense of high fashion style for everyday wear, even to work yes! Pick this in gold for a discreet shimmer to your ear, a little gold on your ears will glimpse through when you casually run your hand through your hair, talk about style! I hope this post have given you an idea on what you might like and to pick some of these styles from the new collection that you definitely will need for year end parties! I would say bangles and earrings for everyday use (what do you say to refreshing your accessory corner?) Stash away the chokers to save for special occasions! Some items are already instock, and some are on pre-order (stated on the item if it is a pre-order), pre-order closes on Sunday 23rd Oct 2359, and will arrive and ship in about 2 weeks (estimated around 7 Nov, Monday). Don't wait because they get sold out really quickly as this collection has been awesome with jewelry lovers in Australia and USA! Have a great week ahead ladies! Click on the picture below to bring you right to the collection for some awesome shopping!